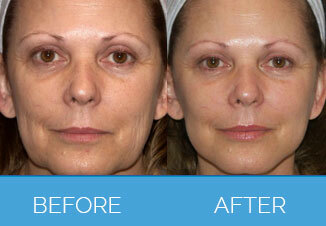 A mini-facelift is an ideal procedure for those experiencing the first signs of ageing and skin sagging. The procedure lifts the jawline, neck and cheeks and in considerably less invasive and less expensive than a traditional facelift. A mini facelift is performed at one of the CQC accredited private clinics by a specialist cosmetic surgeon we refer you to. The procedure is performed under general anaesthetic, meaning you will be asleep for the procedure and will not feel any pain. During the procedure, the surgeon will make small incisions in front of and/ or behind your ears and along your hair line. The skin will then be lifted and secured with very fine stitches. The procedure normally takes 1-2 hours and you may need to stay overnight (depending on the time and complexity of your procedure). Following your procedure, the surgeon aims to return you safely to your own home the same day or the morning after your surgery. After surgery, you may feel bruised and sore but this will subside over the coming week. Normally, no more than simple analgesia such as paracetamol is sufficient. We normally recommend people have about two weeks off work to recover and recuperate from the surgery. All of the aftercare is included in your package, meaning you can relax, safe in the knowledge that all your follow up appointments, dressings, any required medications and much more is covered by your comprehensive aftercare programme. There will be scarring in the areas of incision, however these can be easily hidden by most hairstyles. In time, the scars will fade to very fine white marks. As with all operations, cosmetic surgery has certain risks. However, as the procedure is completely elective, the risks tend to be lower than that of surgery performed for health reasons. Complications in cosmetic surgery are generally very rare. Your surgeon will fully explain any risks and possible complications at your free consultation, and details will be explained in your procedure guide. If you have any specific worries or concerns, please speak to your surgeon at your free consultation. There are no patient stories for Mini Facelift. Any form of cosmetic enhancement is very personal, so prices are bespoke dependent on your individual needs. As a rough guide, you can expect to pay £2990 – £4500.